Thank-you for choosing Global Off-road Supply for your needs. Synthetic winch line is 45% stronger than conventional steel cable, yet it weighs only a fraction of what steel cable weighs. In fact, synthetic winch line is so light it floats on water. When steel cable winch line fails, breaks, or comes off of the attachment point it recoils from stored energy, snaps back, and can be deadly. 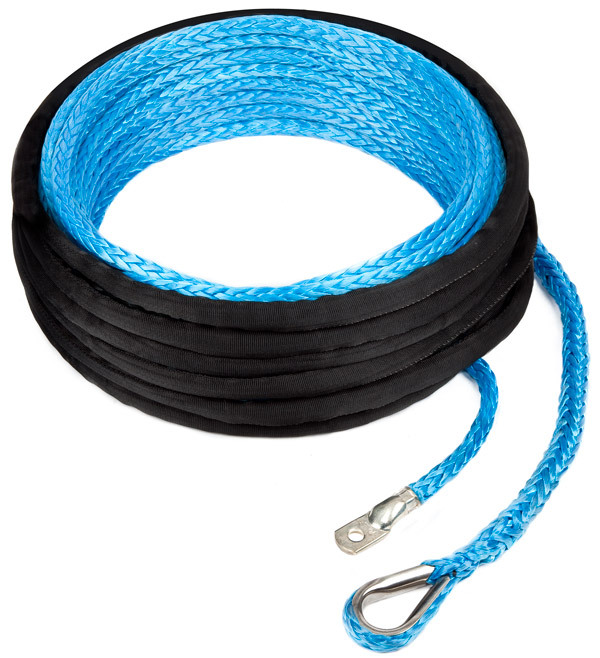 There is almost no snap back at all with synthetic winch line because it does not store energy like the steel cable. This is why steel cable winch line is no longer permitted at most off road competitions or races. Synthetic winch line is very flexible, but does not curl or kink.